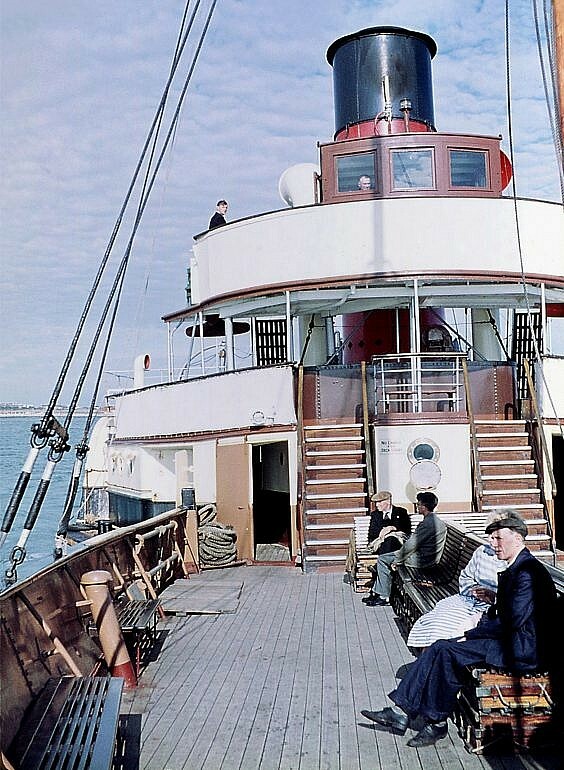 The 371 ton paddle steamer Princess Elizabeth was built between 1926 and 1927 for Red Funnel Steamers along the river Itchen by the old established Southampton company of Day Summers. 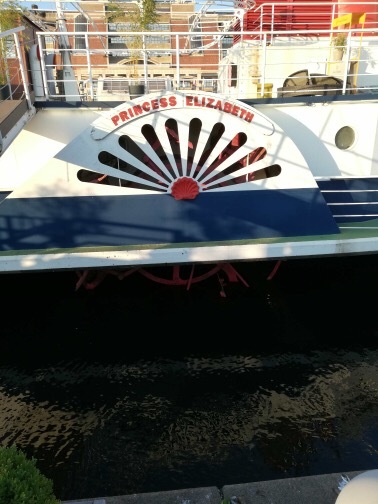 She was the last of a series of “Princess” paddle steamers, all of which differed in certain respects. The name Elizabeth being chosen to celebrate the birth of the present queen. As built the Princess Elizabeth was coal fired with an open bridge. 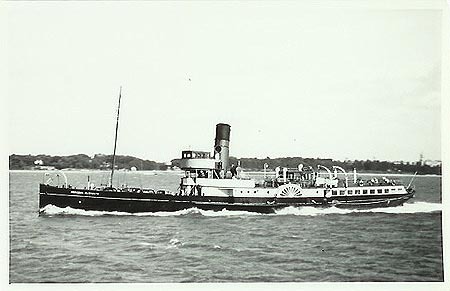 She soon proved a very versatile and economic member of the fleet and with a good turn of speed soon settled into servicing the majority of the company routes being based at Southampton or Poole and was equally suited to operating the Cowes ferry run with her foredeck loaded with cars and the various excursions the company operated during the summer months. 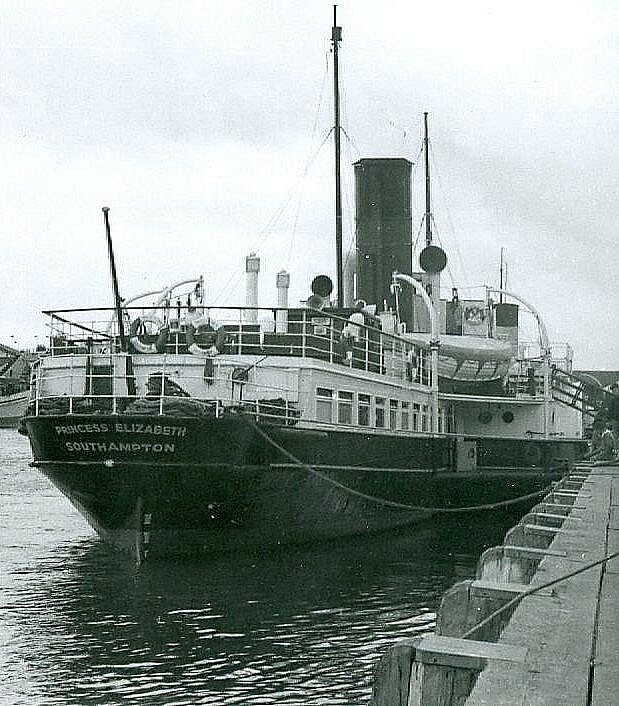 A series of improvements were made to the ship before she was requisitioned by the Admiralty late in 1939. Her war service included four trips to the beaches of Dunkirk. Refitted, converted to oil fuel and with improved accommodation and a closed wheelhouse, the Princess Elizabeth returned to peacetime duties in 1946 on a limited series of excursions and the Cowes service. 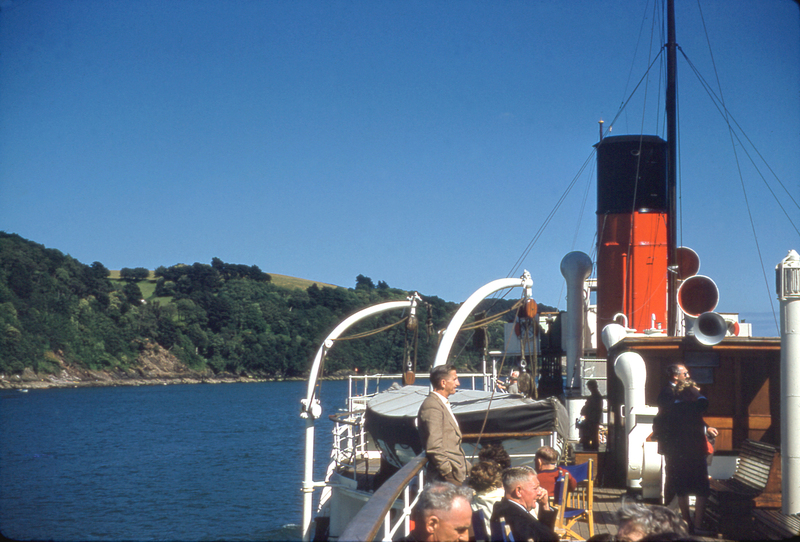 As war damaged piers were gradually restored the Princess Elizabeth ventured further afield and was the first paddle steamer to make a post-war call at, both, Bournemouth and Swanage Pier. 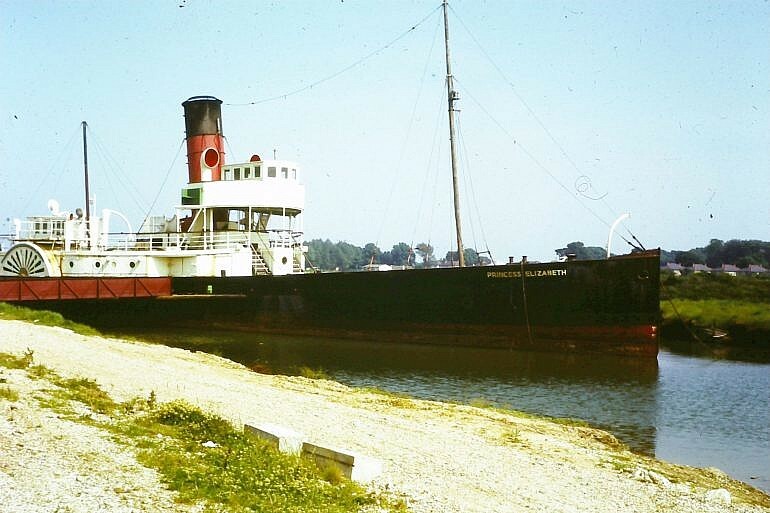 Throughout her career she was a much valued asset, often, being utilised to act as a tender for visiting liners in Cowes Roads or at the Motherbank, off Ryde. 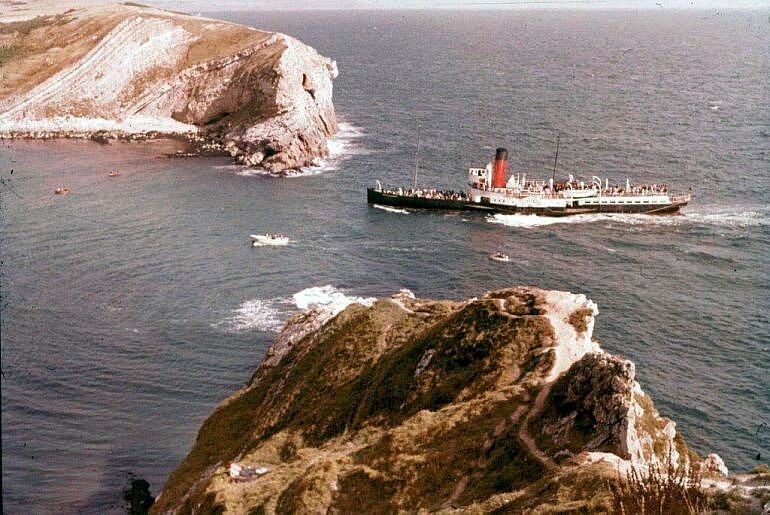 The 1950’s found her in less demand and it came as little surprise that she was withdrawn from service towards the end of 1958 with the impending delivery of the new Ro-Ro ferry Carisbrooke Castle. 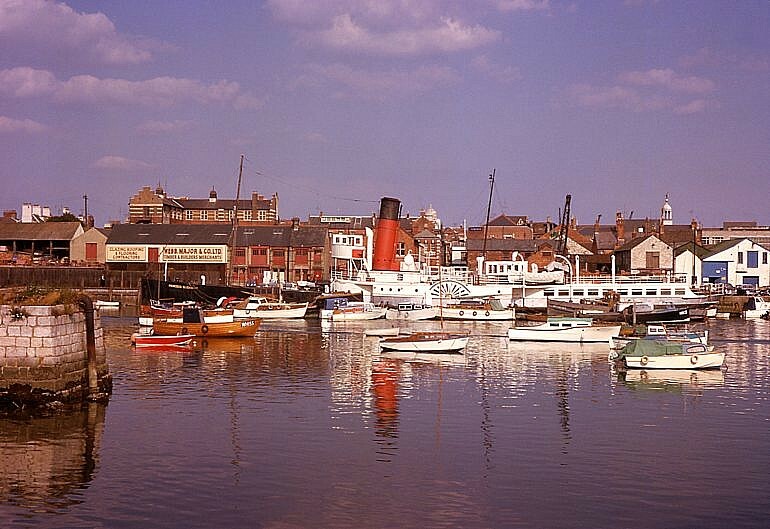 Local enthusiasts felt she would be transferred to the Red Funnel subsidiary company, of Cosens and Co who operated a fleet of geriatric paddle steamers based in Weymouth and Poole. 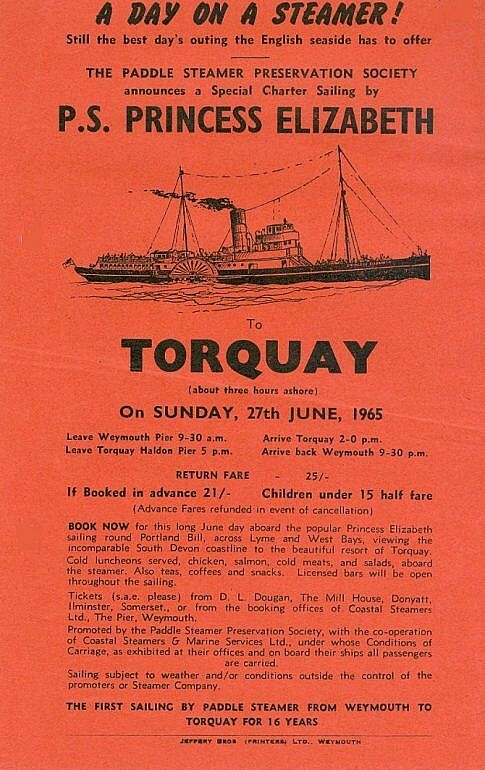 However, that proved not to be the case and she was purchased by a newly formed company, Torbay Steamers, for service from Torquay on an ambitious programme of cruises. Following a major refit and the re-instatement of her Class III certificate she sailed west to commence the next stage of her long career. 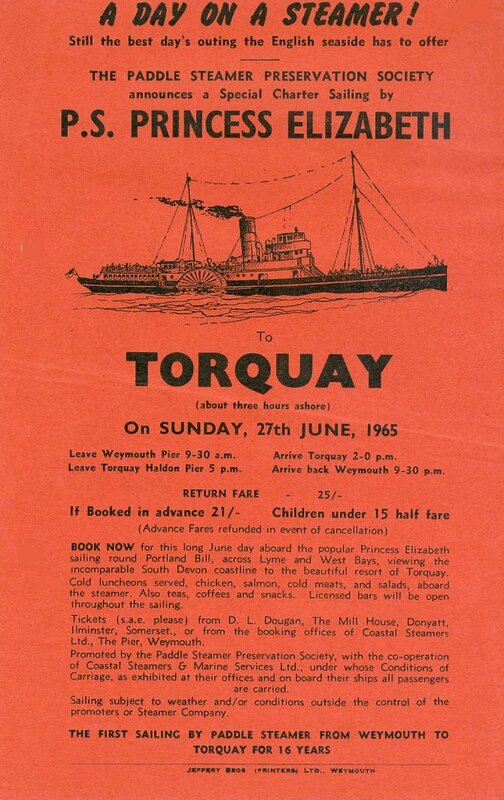 Having operated from Torquay in 1960 and 1961 a dispute arose between the operator and the harbour authorities and the ship only, ever, sailed from Torquay once more, on the occasion of a PSPS charter cruise from Weymouth in June 1965. 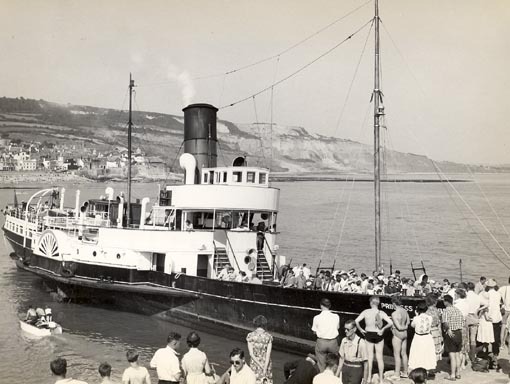 Despite being widely advertised as operating from Brighton in 1962 she turned up at Poole in middle of July and hastily put on to the Bournemouth – Swanage ferry service. 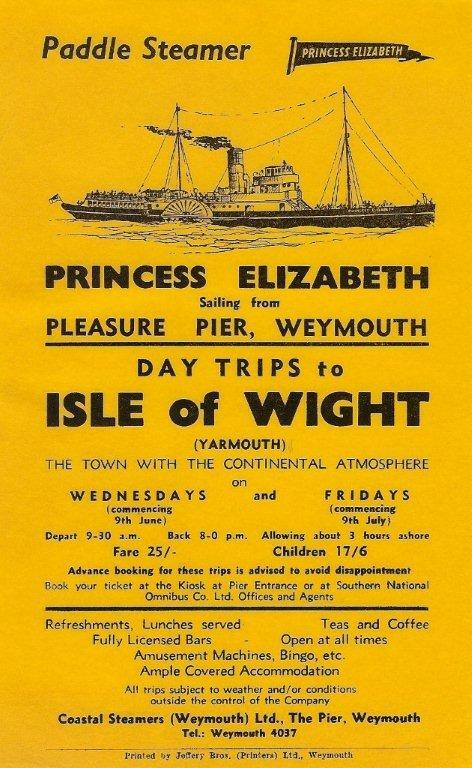 At the end of 1962, Cosens withdrew the 1896 built Consul that was based at Weymouth, The owners of the Princess Elizabeth having endured a miserable season at Bournemouth seized the opportunity to take up the well established routes from Weymouth that were vacated by the demise of the Consul. The Princess Elizabeth spent her last three years of operational service at Weymouth but was offered for sale at the end of the 1965 season. A buyer was found who indicated it was planned to return the ship to some form of operational service. However, after some very superficial repair work (painting the ladies toilet etc!) the old ship was, once again, put on the market. She was purchased for demolition at Southampton and arrived at the Itchen yard not a mile from the place of her launch in 1927. 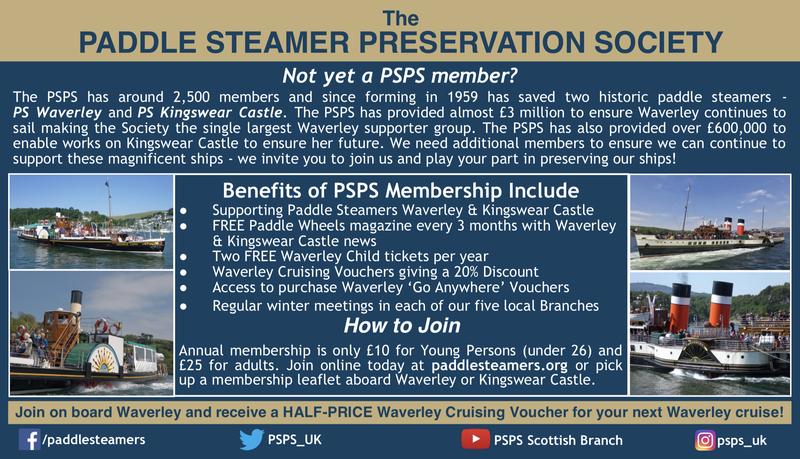 The Wessex Branch of the PSPS arranged a visit to the yard and a very dispirited group looked the derelict old ship minus her engines, boiler and other recyclable metals. 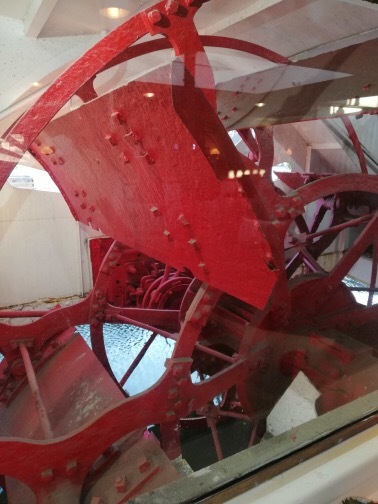 The branch negotiated to purchase the wheel of the ship that spent many years on display in the old Southampton Maritime Museum before it’s conversion to a fashionable restaurant. The deck seating found a new home in the garden of the “Seaweed Inn” at Weston, Southampton where it remained unmaintained and decaying for a few years. Both the seating the pub are now consigned to history. Remarkably a new and very long chapter on the ship’s history was about to begin. The skeleton of the ship was sold to a Don Hickman for use at Hayling Island as a club-house for the local yachting fraternity. Princess Elizabeth was duly moved to her new home and there she remained, sitting on the mud for a considerable time. Clearly, plans for her new use had hit the buffers and the old ship found herself on the market, once again. It was thought she would be making a return visit to the ship-breaking yard but new buyers came forward with proposals to convert the old paddler for static use on the banks of the River Thames. Following a further visit to Husband’s for some essential work she was towed to the Thames where some major modifications were made taking full advantage of the large area of space vacated by the engines and boiler. Looking very smart she enjoyed a long career under various owners in a number of guises; restaurant, conference venue etc. until, again, she appeared on the sales list. 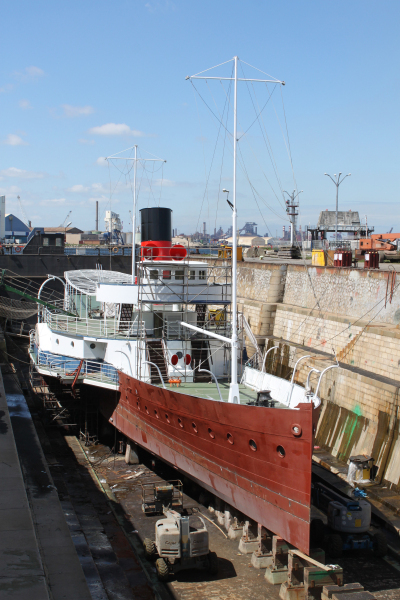 This ship, yet again, dodged the breakers torch and to the surprise of many was sold for further service as an art gallery along the river Seine in Paris. 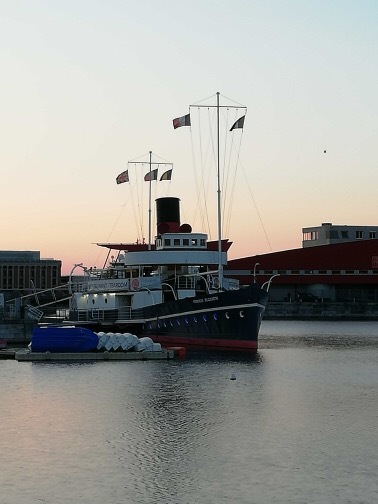 This was very successful for a few years until she, yes, again was sold to her current owners at the port of Dunkirk where, looking extremely smart despite her 91 years, she serves as a top class restaurant. This little paddle steamer with so many lives is still not finished. After 38 years of operational service this remarkable ship has continued in various successful static roles for a further 53 years and shows no sign of retiring just yet! As a boy peeping over the fore-deck rail watching the paddles churn up the waters of the Solent it would not have been in my wildest dreams to imagine the lovely Princess Elizabeth would still be with us today. This article was written by PSPS member Peter Lamb. 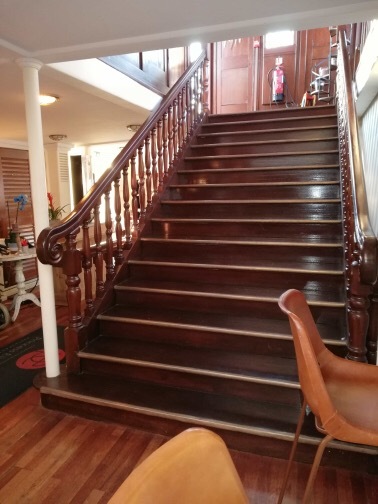 Having travelled throughout the war on the older ships, which were all very slow, it was a great pleasure to sail on Princess Elizabeth in 1946 with her dining saloon on the main deck as had been Gracie Fields. To a 15 year old frequently travelling on very old ships Princess Elizabeth was very much a breath of fresh air. She was always beautifully kept on board including the engine room and she was fast! 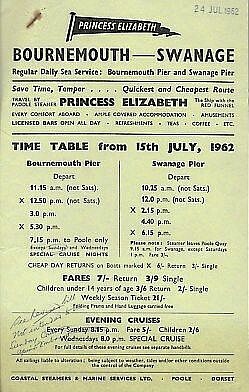 Where as the older paddlers (Princess Helena and Duchess of Cornwall) were comparatively slow and could take 1 hour 15 minutes to 1 hour 30 minutes on the passage to Cowes. However, Princess Elizabeth could complete the passage in 45 minutes.